It’s a Small World. . .
Macro photography is the art of seeing the small. It is taking the miniscule, and making it the subject of a photograph. The subject could be printed larger than life-size, and it’s details could be tack-sharp. It requires a macro lens or extension tubes for true macro photography. These tools allow the lens to be closer to the subject, thus magnifying the subject in the photograph. Subjects for macro photography are as varied, though flowers or insects seem to be a favorite subject among photographers. Close-up photography can be done with a macro lens or a short focal length lens (such as a 17-40mm). It is different from macro, because of the difference in magnification of the subject. Another difference is the lens “sees” the subject differently. It can feel more “sweeping” in perspective than a standard macro lens. The pink image below was taken with a 100mm Macro lens. The photograph is a pink rose. 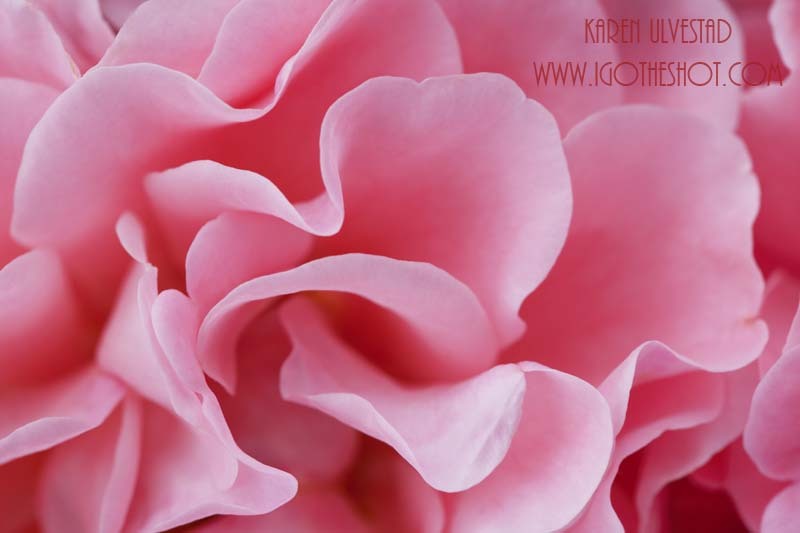 The sweeping lines of the petals create an abstract pattern in pink. This rose was about 3-4 inches in diameter, and this is a small portion of the rose. The lighting was a big factor in this image. It was a bright sunny day, around mid-day. I looked for a flower that was in the shade, so the lighting would be more uniform across the entire flower. It the flower had been in direct sunlight, there would have been a difference of exposure exceeding 2 stops of light. Translated this means that either the shadows would have been black, or the highlights would be white. Close-up photographs can reveal the hidden beauty of the subject. 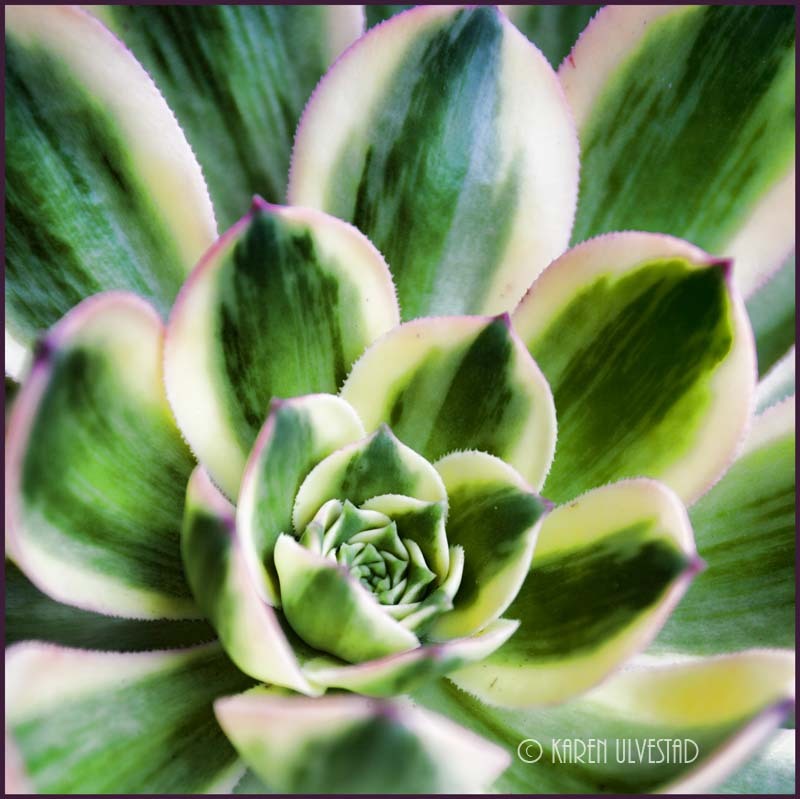 The photograph below shows the subtle color changes and details of a succulent. The focus is on the tight grouping of new leaves in the center, and this is controlled by the Aperture. The Aperture is the Depth of Field (DOF). In close-up images, the DOF is more noticeable than a sweeping landscape, because the camera/lens is so close to the subject. This image was taken with a 17-40mm lens at 40mm. Shorter focal length lenses allow the camera/lens to focus closer the subject. The DOF was f4.0. The image below is of one of my favorites. Water droplets act like a fish-eye lens, and show everything behind them within. This was taken with a 100mm macro lens at f4.0. 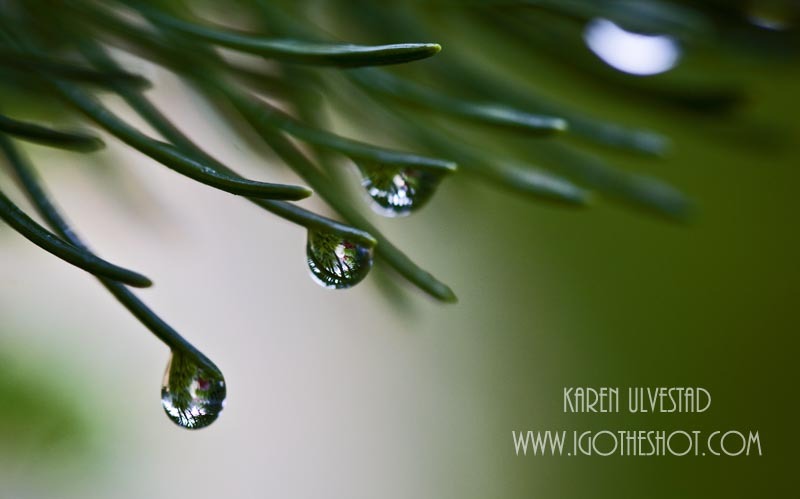 There is a noticeable difference in the DOF between the succulent above and the fir needles and water droplets below. Each lens and technique give the photograph a different feel. One additional note is to remember to use a tripod with Macro and Close-up photography. The slightest shake is magnified in this type of photography.